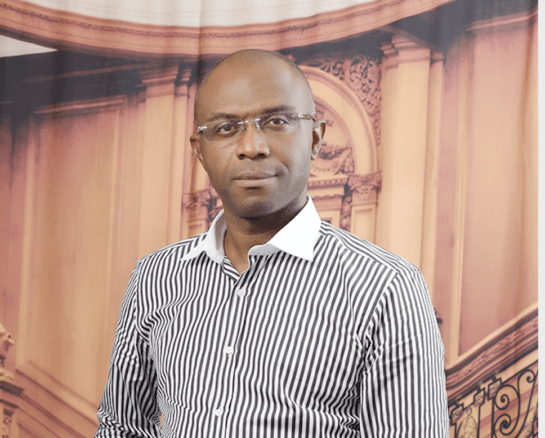 Dr. Uchenna currently serves as the Deputy Chief of Party at BroadReach for the Regional Action through Data (RAD) program and has worked in the development and health space for the past 26 years. His multi-faceted career spans global public health, clinical medicine, communicable and non-communicable diseases, as well as public sector health program management and the much-talked-about health system strengthening. Data is poised to contribute substantial change to the delivery of public health. It’s an elixir that can become an accelerant towards equitable healthcare for all. Never before have we had access to so much raw data, and it is thus our challenge to leverage it – using it wisely and effectively to enable states to build stronger healthcare systems and encourage healthier citizens. The Regional Action through Data (RAD) program was designed to disrupt current healthcare models across sub-Saharan Africa by changing how and why information is collected, analyzed, shared and used. It’s funded by USAID where BroadReach and consortium partners work with the West African Health Organization (WAHO) and the Intergovernmental Authority on Development (IGAD) in West and East Africa. From the onset of this program, our underlying question has been: How can we innovate to arm and empower healthcare workers with the insights that inform daily, weekly, and monthly operations to create tangible impact on communities served? Data is driving healthcare service delivery models in entirely new ways, improving patient engagement, access, and continuity of care for the most vulnerable. This shift in services establishes a new lens on health system data, seeing it no longer as just a source for reporting but instead as intrinsic to strategic policy development and resource management. When technology and data-minded service-delivery models come together, we’re able to take an agile approach to healthcare. Fundamentally, the ability to deliver this kind of impact is enabled through both data and technology. A prime example of this relationship applied by the RAD consortium is being piloted on the Kenya-Uganda border region and focuses on improving immunization services. Jembi Health Systems’ (RAD consortium partner) Journey Solution to improve health system productivity and patient experience, is introducing a new way to engage patients by giving a child’s caregiver a technologically-enabled card so they can take their child’s records with them to any health facility crossing national borders. The solution leverages data to improve continuity of care for the child and for the health facility and system, improving visibility and management of vaccine stocks and healthcare worker productivity. When technology and data-minded service-delivery models come together, we’re able to take an agile approach to healthcare. In the immunization pilot, patients are empowered with Near Field Communication (NFC) cards containing their patient records which they can access across borders. Facility managers, equipped with smart phones, can provide continuous support for patients while also receiving insights on job performance, human resource insights, and stock management that facilitate improved clinic performance. From data capture to data feedback, technology is enabling improved access and quality of patient care.This kind of technology can be ingested within Vantage to establish a platform for macro-scale implementation, supporting aggregation of insights and oversight potentially over an entire region. The potential for improved patient care and oversight is endless. It is not enough just to focus on observing the positive impact on immunization coverage or drop-out rates. Questions like – how does this translate to improved life span, or how does it impact GDP are the real questions we need to be able to answer, allowing us to make informed decisions on where our resources are best spent and create true impact. Again, data packaged in the right shape and form can unlock the answers to much more strategic insights affecting policy development and investment decisions. When you develop and deploy data into the right shape and form to inform better decision-making — from frontline healthcare workers to the healthcare managers and policy makers — you are able to drive towards tangible outcomes. In doing so, you galvanize health care workers and citizens to be healthier, more productive and more creative – actively unlocking an enormous resource based on data as the new oil.